If a couple continues to have problems after seeking a divorce in Pasadena, post-divorce mediation may be the answer. Post-divorce mediation can be an effective tool for resolving many different kinds of disputes, ranging from visitation schedules with the children to the payment of spousal support. Mediation, when done effectively, is a quicker and less expensive way to resolve issues than having to go back to court. Mediation is cooperative, while litigation is adversarial. Mediators are trained professionals who listen and help both parties come to a mutually agreeable solution to their problems. A mediator does not take sides or force one person to agree to the other's demands. Mediation does not require you to give up your legal rights, so you may still pursue litigation if mediation is not successful in resolving your post-divorce dispute. 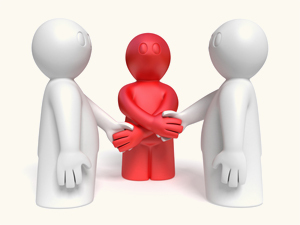 Mediators are helpful in negotiating issues post-divorce because of their third-party status. They do not have a personal stake in the situation, so it is easier for them to be objective. They've also received specialized training in communication and negotiation, which allows them to expertly deal with couples who are feeling angry and frustrated with each other. Mediation promotes clear and rational thinking, while litigation tends to inflame situations that are already filled with hostility. Post-divorce mediation services are provided on a confidential basis. If you are concerned about privacy issues, this may be a reason to try mediation. Many court proceedings are public record and can thus be accessed by anyone with an interest in your case. Although mediation is becoming more common each year, it should be noted that not all lawyers are knowledgeable about the value of post-divorce mediation. If this is an option that interests you, contact a Pasadena divorce attorney with a practice that is described as "mediation friendly." This means that he or she can provide legal advice and draw up any of the necessary documents needed after your mediation session is complete.